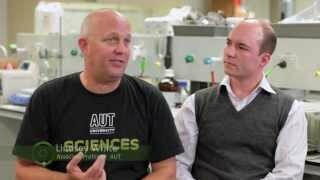 AUT has built and continues to build expertise and is gaining a national reputation in aquaculture and fisheries research, innovation and development. The output also includes skilled students, who have gained practical experience, and collaboration between different faculties at AUT. Cloudy Bay group benefits by having access to experts to develop new products and processes to allow it to grow its business and compete successfully in international markets. Cloudy Bay Clams won the Peoples’ Choice Award at the 2013 KiwiNet Awards. Watch their story.